Doolittle was the first American hero of WWII and the Army gave him a B-25 to tour war plants to give morale-boosting speeches. In midsummer 1942 Doolittle was asked to serve as the air commander of the 12th Air Force under General George Patton as Patton was preparing an offensive against the Germans and Italians in North Africa. In recognition of his leadership of the 12th Air Force, Doolittle was promoted to Major General on November 20, 1942. Following the successful North Africa campaign Doolittle took command of the 15th Air Force during the assault on Sicily and the invasion of Southern Italy. After the cessation of hostilities in Europe, Doolittle was ordered to prepare to move a large portion of the 8th Air Force personnel to the Pacific theater. He was to return to the states and then move to the Kadena Air Base on Okinawa to set up headquarters. Plans were made to equip the 8th Air Force with B-29s instead of the B-17s and B-24s used in Europe and crews sent back from England began training in the Boeing Superfortress. 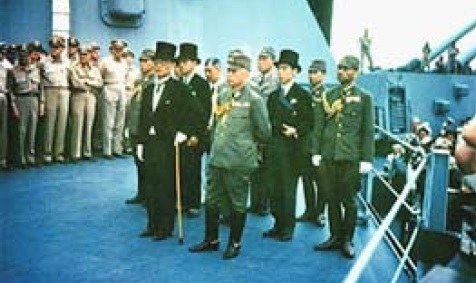 In mid-July Doolittle arrived in Okinawa and found conditions to be extremely primitive. Unlike his relatively luxurious accommodations in England, he found himself living in a tent exposed to wind and rain. Man over Nagasaki. The surrender of Japan was announced on August 15, 1945 and the 8th Air Force would not be pressed into action in the Pacific. The formal unconditional surrender ceremony took place aboard the battleship Missouri in Tokyo Bay on September 2, 1945. It is interesting to note that Jimmy Doolittle, who led the first attack on Japan, stood on the deck of the Missouri that day and witnessed the final act of the Second World War. On January 5, 1946, Doolittle reverted to inactive reserve status in the Army Air Forces in the grade of lieutenant general. He retired from the United States Army on May 10, 1946. On September 18, 1947, his reserve commission as a general officer was transferred to the newly established United States Air Force. 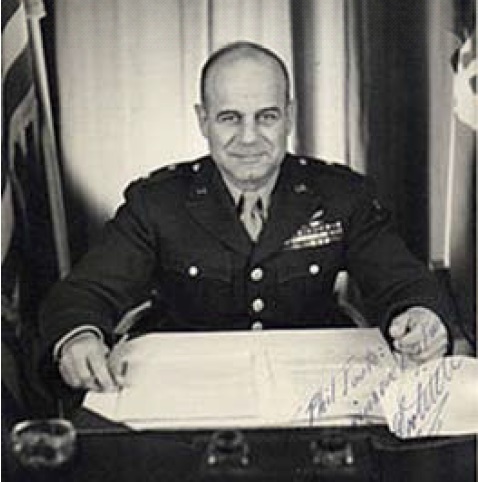 Doolittle returned to Shell Oil as a vice president, and later as a director. With his academic background he was appointed chairman of the National advisory Committee for Aeronautics (NACA) in 1957. Doolittle had been interested in the research in rocket propulsion conducted by Robert Goddard since the 1930s and advocated that NACA increase its focus on rocket science. Doolittle was the last person to hold that position as NACA was superseded by NASA in 1958. He was offered the job of being NASA’s first administrator but he turned it down. 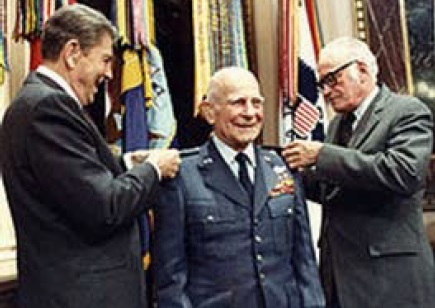 Doolittle continued to serve in various industry and government-related positions for several years. He retired from the Air Force Reserve on February 28, 1959. On April 4, 1985, the U.S. Congress promoted Doolittle to the rank of full four-star General on the U.S. Air Force retired list. Jimmy Doolittle died at Pebble Beach, CA on September 27, 1993, and was buried in the Arlington National Cemetery. In his remarkable military career he never held the ranks of Captain and Colonel. Received the first Doctor of Aeronautical Engineering degree in the U.S. Awarded the U.S. Medal of Honor, the Distinguished Flying Cross, the Presidential Medal of Freedom, the Croix de Guerre (France), and the Order of the Bath (United Kingdom). I think it was more than luck.